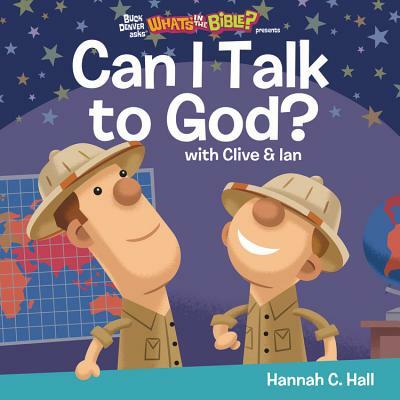 Featuring beloved characters Clive & Ian from the bestselling video series What's in the Bible?, CAN I TALK TO GOD? weaves the biblical truth of God's accessibility into a fun story with delightful illustrations, teaching little learners that God is always listening. "When you're worried, sad, mad, scared, or even happy...God is a very good listener!" Ian has lost his stuffed pony. He can't find it anywhere! When his big brother Clive encourages him to and ask God to help him find it, Ian learns how much God cares, and that He wants to hear about everything! Hannah C. Hall is wife to a worship pastor and stay-at-home mom to three delightful kids. She is the bestselling author of fourteen children's books and lives with her family in Prairie Grove, Arkansas.